I'm not sure if it is a change in the weather or if I caught something from one of my kids, but today's Thursday Morning Superhero will be on the short side as I am currently battling a wicked cold. Cheers! 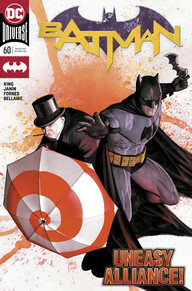 Batman #60 - After a long hiatus from this series I decided to check out what Tom King had cooking for the Dark Knight and really enjoyed what I read. It is part three of a story called "The Tyrant Wing" and Batman is completely unhinged. He has concerns about Bane secretly running operations in Arkham and is beating anyone who recently got out of Arkham senseless. In addition, Penguin is being held prisoner in the Bat Cave and says he has insights on Bane's operations. The problem is that everyone who is out on parole swears that Bane is holed up in his cell doing nothing. King has definitely returned to the darker side of Batman and I am looking forward to reading the earlier issues in this arc and am curious about the development that was revealed at the end. I won't spoil anything, but it has the potential of being a game changer. Very happy I decided to return to this series. 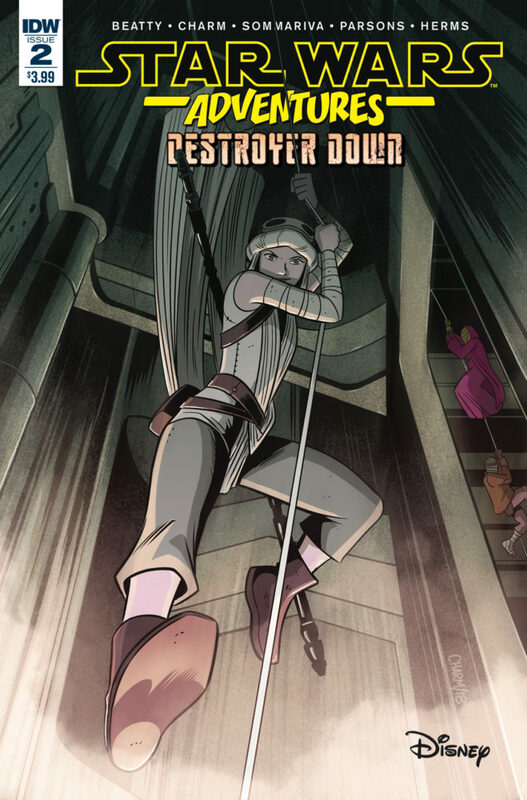 Star Wars Adventures: Destroyer Down #2 - This series about the Ghost Ship and the quest to pillage it by Rey and company on Jakuu and the flashback to see how the Ghost Ship ended up on Jakuu continues to be highly entertaining. A series for all-ages of Star Wars fans, this book gives us a glimpse into Rey's life prior to TFA and a bit more on her interaction with relics of the Rebellion. Sometimes it is nice to find a book that is just fun to read. It might not have the depth of some of the other series, but you leave feeling entertained. Prodigy #1 - Edison Crane has the unique ability to learn anything faster than anyone in the world. When his dad grew frustrated with him, he cut his inheritance to only one dollar which Crane turned into over $1 billion in a year. He is constantly commissioned to write screenplays, compose music, and solve mysteries. Recently there is a rash of spontaneous combustion in humans and animals in Australia. Crane is convinced that this is the early signs of an invasion and I am a bit intrigued. 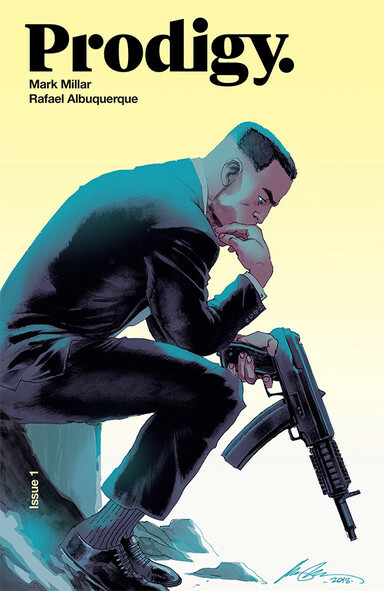 Crane is as cocky and over-the-top as a lot of Mark Millar's creations. From learning how to fight from martial arts as a 10-year old to performing open heart surgery on a friend, Crane is definitely an interesting character.